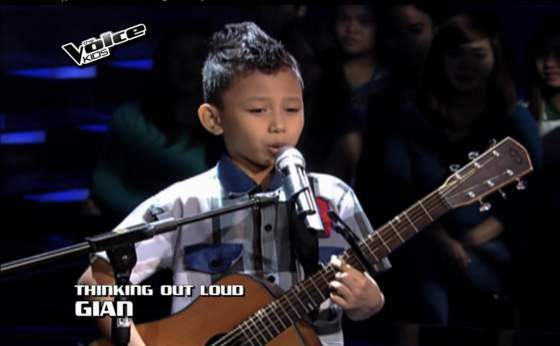 Gian Luigi Ale’s performance of 'Thinking Out Loud' -The Voice Kids - Balita Boss! Gian Luigi Ale performed with a guitar his version of "Thinking Out Loud" by Ed Sheeran on The Voice Kids Philippines Season 2 Blind Auditions aired on Sunday, June 7, 2015. During his performance, three coaches pushed their buttons and turn their chairs for a talented 9-year-old boy from Tagbilaran, Bohol. Gian chose Sarah as his coach.